The second stop on the Traditional Building Conference Series 2016 education train was New Haven, Connecticut, home to Yale University and historic buildings dating back to the 1700’s. The neo-classical Lawn Club, on the edge of the Yale campus, was our venue. Two-hundred architects; contractors; facilities managers and building owner/stewards were in attendance. The conference kicked off with the session, “Making Places: Connecticut’s Strategy to Adapt Industrial Architecture” which featured speakers from The Connecticut Trust for Historic Preservation and the Connecticut State Historic Preservation Office’s team. These professionals explained their strategy and best practices for adapting industrial buildings for new use, including residential lofts and worker spaces. 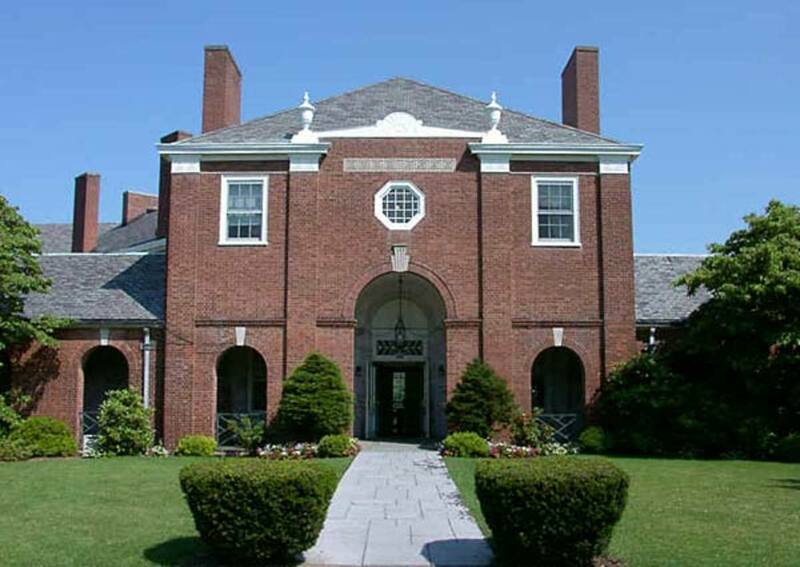 Yale University and nearby Avon Old Farms School were the subjects of case studies in materials and methods education, with learning objectives for “duplicating 16th-century craftsmanship” blended with 21st-century construction techniques. The Yale campus, in all of its architectural splendor provided attendees with in-the-field lessons on both historic restorations and traditionally inspired new work, including a discussion of Robert Stern Architect’s new residential college. Walking tours of New Haven’s Trinity Church and Center Church proved the axiom: it’s not good because it’s old; it's old because it's good.” The use of wood; brick; stone; plaster and glass, inherently durable materials, has stood the test of time for traditional buildings which were originally designed by Benjamin Asher (1773-1845) and Ithiel Town (1784-1844). We compared the differences of these two churches in terms of structural systems and architectural detailing and learned about how to apply materials and methods techniques to future restorations. Classroom sessions on “Masonry, Timber and Tiles;” “Traditional Doors;” and “Mill Built Architecture” rounded out the curriculum. Materials on display by sponsors included windows; clay tile; kitchen cabinets; ornamental metal; decorative painting; storm windows and glass; ceramic tile; HVAC systems; hardware and period furniture. The fifteenth annual Palladio Design Awards ceremony and dinner took place during the Traditional Building Conference in New Haven, also hosted at the New Haven Lawn Club, produced by Traditional Building and Period Homes magazines. Winners were recognized in five categories for commercial/institutional work and six categories for residential work. The projects were published in the June issue of Traditional Building and July Period Homes.